When you’ve got a mermaid in your grotto with classic style who dreams of life as Ariel, snag our Mermaidens gift set in Celtic Green, featuring a mermaid tail set and extra surprises! Give your little mermaid lover more than a mermaid tail set with this special Mermaidens holiday bundle featuring Mermaiden Brynn’s signature Celtic Green pattern, available in youth sizes 6-12! 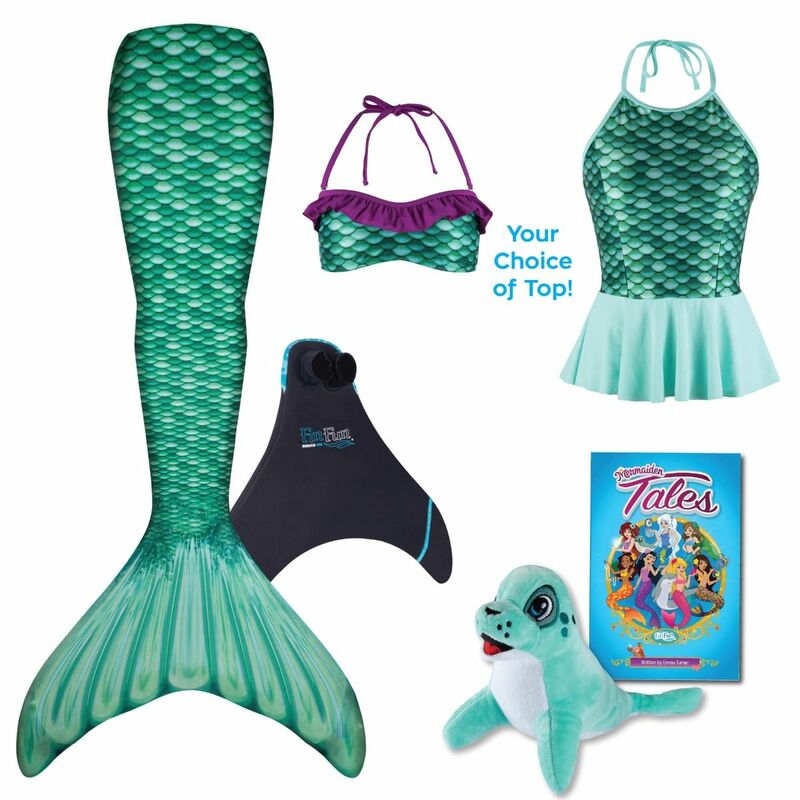 She’ll get the mermaid tail set and matching scale swim top she’s been dreaming of (in the bandeau or tankini style of your choice) —plus a few fun extras like Fin Fun’s Mermaiden Tales book, and plush toy FinFriend Fergus the Seal!